Written in 1896, The Island of Dr. Moreau is one of the earliest scientific romances. An instant sensation, it was meant as a commentary on Darwin’s theory of evolution, which H. G. Wells stoutly believed. 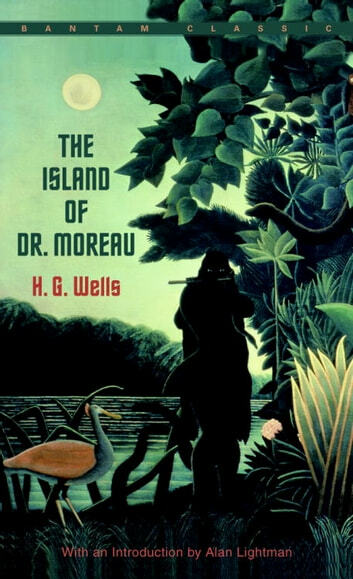 The story centers on the depraved Dr. Moreau, who conducts unspeakable animal experiments on a remote tropical island, with hideous, humanlike results. Edward Prendick, an English-man whose misfortunes bring him to the island, is witness to the Beast Folk’s strange civilization and their eventual terrifying regression. While gene-splicing and bioengineering are common practices today, readers are still astounded at Wells’s haunting vision and the ethical questions he raised a century before our time.